Mugs in fine bone China. 4 types available : dog, bear, hedgehog, fox. Here is a pretty collection of 4 colours, 4 animals and 4 funny messages to choose from. 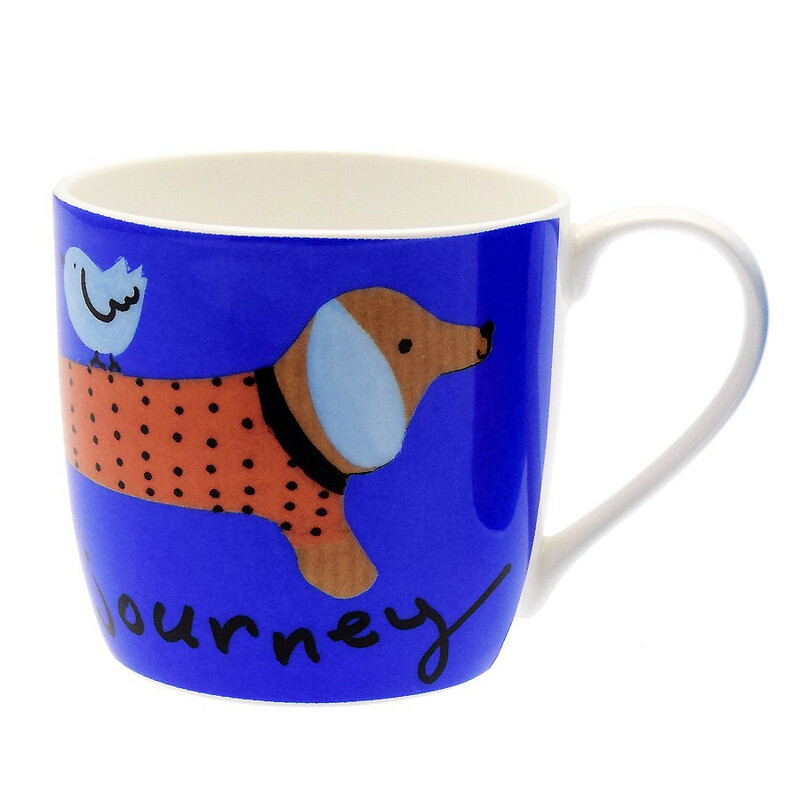 1 : a dog on blue background with the message "Enjoy your journey". 2 : a bear on light blue background with the message "Bear with me today". 3 : a dog and a hedgehog on yellow background with the message "Looking sharp today". 4 : a fox on pink background with the message "Hello foxy".